Becoming a member of the DÉTENTE retail family is more than just profitable. Our quality line of watches is colorful, exciting and loved by people of all ages everywhere! Additional benefits may also be yours if you qualify to become an authorized DÉTENTE retailer. The two most common trouble items with any watch are the crown and the crystal, but these are not covered by your warranty. Like brakes on a car, these are wear items. DÉTENTE is now offering Crown and Crystal Protection Coverage for any watch you buy from our retail partners. For a Limited time the Warranty is FREE and expands your one year warranty to include these two items. Since a replacement of either one of these parts can cost $80 or more, the coverage can be used as often as necessary in the two-year period. 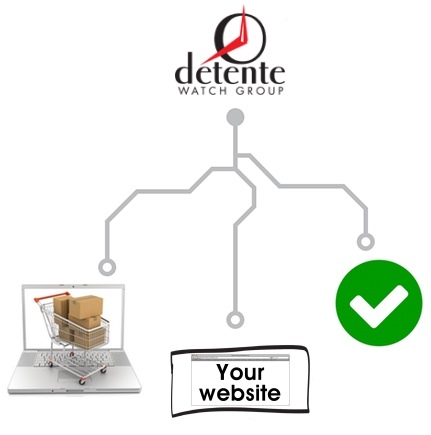 Simply register your watch on our Watch Warranty page within 30 days of the purchase date . That is all you need to do. We keep all the records here and your receipt will serve as your proof of this additional coverage. Our watches don’t simply tell the time – they tell a story. The Détente Watch Group seeks out and imports only watches that bring something engagingly different to your wrist. Unexpected origins, unsurpassed quality and unbeatable value are the hallmarks of the brands we represent. Vostok-Europe, for going to extremes – Sturmanskie, the first watch in space – Nesterov, the aviation legend – UNIQ, where Swiss Made meets Eastern European design. All these brands, along with Moscow-Classic and Denissov, build timepieces driven by inspirations that bring a folklore to the watches that few other manufacturers can claim. For inquires about becoming a reseller of our watches, please click here or call 877-486-7865.